Gingko biloba has existed for over 250 million years and may grow to 40m, and live for over 1,000 years1. The extracts of the gingko biloba leaves have been used for hundreds of years to treat various disorders. These extracts consist mainly of a class of chemical called flavonoids and terpenoids1. Where Does Ginkgo Biloba Come From? Gingko biloba is indigenous to Korea, Japan, and China, but can be found worldwide1. Ginkgo biloba has been used successfully for a number of conditions, including, asthma2, dementia3, Alzheimer's disease4, coronary artery disease5, 6 and glaucoma1. Studies have shown that Ginkgo biloba acts to increase blood flow to the brain7. For this reason, a number of bodybuilding supplements include it to improve focus during workouts. Ginkgo biloba has actually been shown to increase nitric oxide levels in patients with coronary artery disease5. However, the bodybuilding supplement market has yet to catch on to these findings. According to published studies and reports, the use of Ginkgo seems safe and well tolerated. 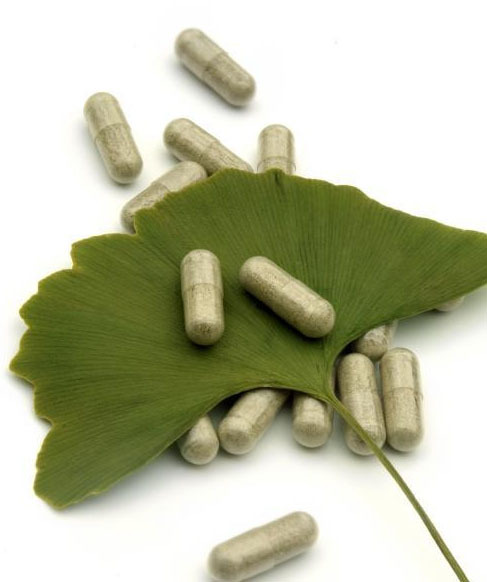 One particular meta-analysis found no differences between Ginkgo biloba and placebo in the proportion of participants experiencing any adverse event. The studies selected for this meta-analysis were administrating Ginkgo extract treatment up to six months1. The most extensively studied extract of Ginkgo biloba is one by the name of EGb 761. It is a standardised extract of Ginkgo biloba leaves that contains approximately 24% flavone glycosides (primarily quercetin, kaempferol and isorhamnetin) and 6% terpene lactones (2.8-3.4% ginkgolides A, B and C, and 2.6-3.2% bilobalide). Ginkgolide B and bilobalide account for about 0.8% and 3% of the total extract, respectively. Common doses for this extract typically range between 2.5g and 3.0g equivalent to dry leaf. There are very few supplements sold by MrSupplement.com.au that feature Ginkgo biloba on its own; rather it is commonly included as part of a mix with other nutrients in pre-workout supplements. As stated above, Ginkgo biloba most commonly features in pre-workout supplements. For this reason, it is often unnecessary to stack betaine with another supplement, as it is normally comes already pre-mixed with other key pre-workout ingredients. 1. Cybulska-Heinrich AK, et al. Ginkgo biloba: An adjuvant therapy for progressive normal and high tension glaucoma. Mol Vis. 2012;18:390–402. 2. Lim MH, et al. Effects of ginkgo leave concentrated oral liquor in treating asthma. Zhongguo Zhong Xi Yi Jie He Za Zhi. 1997;17(4):216-218. 3. Bachinskaya N, Hoerr R, Ihl R. Alleviating neuropsychiatric symptoms in dementia: the effects of Ginkgo biloba extract EGb 761. Findings from a randomized controlled trial. Neuropsychiatr Dis Treat. 2011;7:209–215. 4. Janssen IM, et al. Ginkgo biloba in Alzheimer's disease: a systematic review. Wien Med Wochenschr. 2010;160(21-22):539-546. 5. Wu YZ, et al. Ginkgo biloba extract improves coronary artery circulation in patients with coronary artery disease: contribution of plasma nitric oxide and endothelin-1. Phytother Res. 2008;22(6):734-739. 6. Wu Y, et al. Ginkgo biloba extract improves coronary blood flow in patients with coronary artery disease: role of endothelium-dependent vasodilation. Planta Med. 2007;73(7):624-628. 7. Mashayekh A, et al. Effects of Ginkgo biloba on cerebral blood flow assessed by quantitative MR perfusion imaging: a ilot study. Neuroradiology. 2011;53(3):185-191.